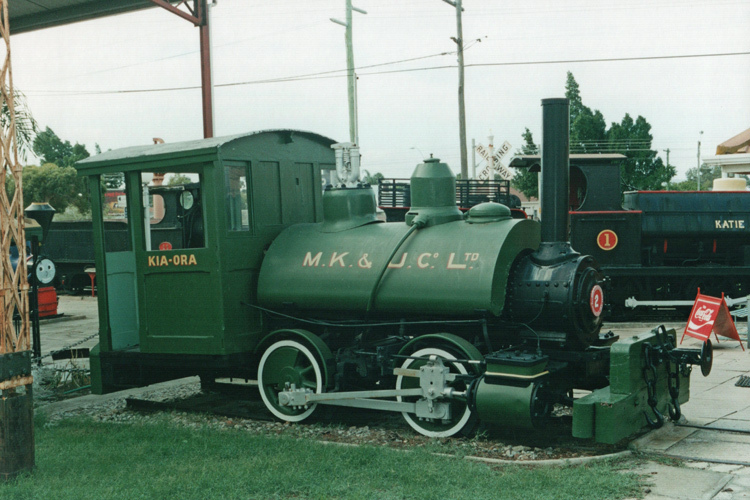 A scanned photo view of Kia-Ora displayed at Bassendean. 9 May 2002. "Kia-Ora" was built by Baldwin Locomotive Works, Pennsylvania in 1884 as their builder's number 7111. It appears to be a standard Baldwin design for shunting, industrial and construction work and is similar to preserved "Sandfly" NA 1 of the North Australia Railway. The name "Kia-Ora" is a Maori language greeting which means "be well / healthy". 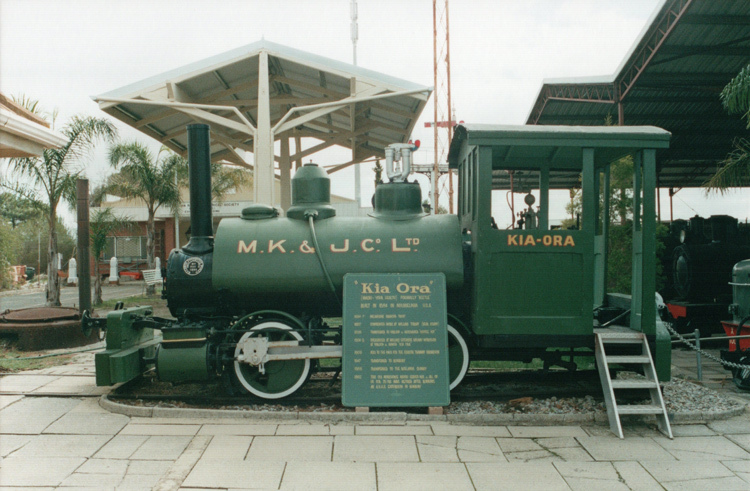 Kia-Ora travelled widely through Western Australia during its working career in a variety of timber, public works and jetty shunting roles for different owners. It last steamed in 1961. Kia-Ora is preserved by the Australian Railway Historical Society (WA Division) and displayed at their excellent railway museum in the Perth suburb of Bassendean. A second view of Kia-Ora displayed at Bassendean. 9 May 2002. Australian Railway Historical Society W. A. Division, First Edition November 1999. Elizabeth SA. Compiled by D. Whiteford, C. De Bruin, L. Watson & N. Watson.